I don’t think I’ll ever be more confused about a distillery than Talisker. To start off, the negative, because I eat my veggies first, meat second. They are owned by Diageo (boo, boo, booo-urns!) And that makes people annoyed, as they could be making interesting, crazy things, but are hampered by a large corporation that makes money. Well, not THAT hampered. 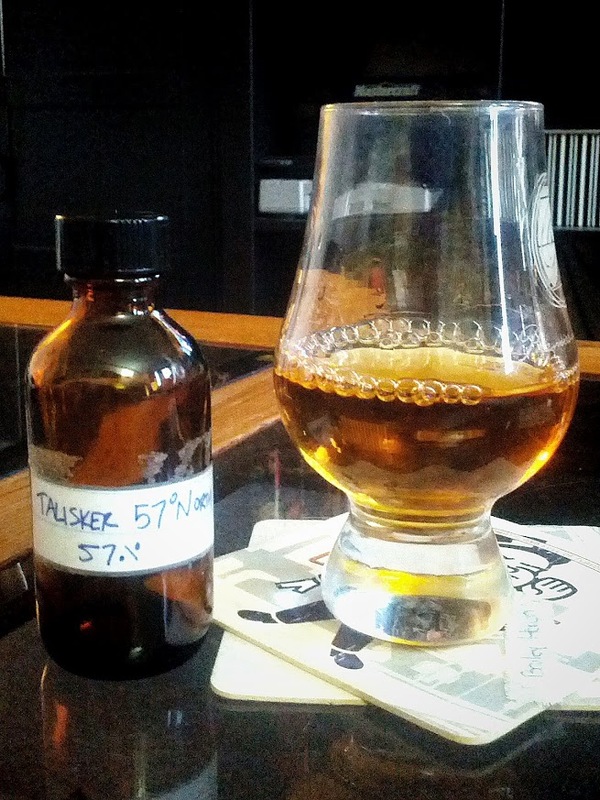 I mean, somewhat, true, that we usually only get the DE, the 18, the 10, the 25, and the one we’re reviewing today, Talisker 57° North. But we don’t see truly crazy ones too often. Wait, maybe this is the free-ist of the free of the Diageo family, now that I think about it. Still, boo. On to the good news.